As a small business it is hard to know where to start with SEO. There are so many ‘gurus’ out there, quite often with conflicting advice that it is hard to know where to best spend your precious time. 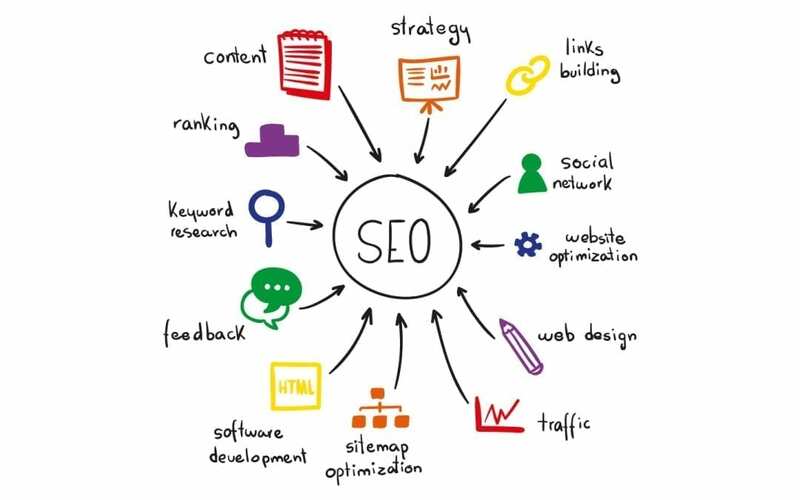 Therefore we have put together what we feel is a good checklist to have to ensure that you are incorporating everything you need into your SEO strategy. This doesn’t mean that you actually have to implement it however by having done your homework and having awareness of SEO and how it works this will enable you to make important SEO decisions in future. This sounds simpler than it is, most people assume they know what keywords their customers will be using when they search for them, however this is not always the case, by checking to see what keywords people use, with numbers and figures behind those keywords you can then make a decision based upon the facts rather than what you think people may be looking for. Ensure that you do not spread yourself too thinly or put all your eggs in one basket. You may think it is worth going after that one golden egg keyword, however it won’t be easy to obtain, even if you do hit the number one spot for that phrase your business becomes dependant on that you may lose out if one day your position drops meaning your business is not able to sustain itself. By targeting a range of keywords if one of your positions loses its ranking then this means you will not be overexposed. Your business will be able to rely on the other keywords to sustain an income. This has been said so many times and we feel it to also be true. You are not going to rank anywhere if you do not have good, solid content which also makes good use of your keywords. Make lots of good content around your subject area. If you are going to spend all this time working on the research and content you need to be placing it onto a platform which is compatible with mobile so that you are not going to be penalised by Google search results. It is worth putting the investment in to ensure your site is mobile friendly before you do all the SEO legwork. It is important to let Google know what is on your site and to connect to Google using webmaster tools, this creates a good working relationship between you and Google, they will also let you know if there is something wrong with your site. Sometimes it is good to pay for things when it comes to measuring results. All our SEO clients have professional and detailed tracking software against their accounts so that we can monitor progress, it also allows us to show them the positive results, and work on anything which is heading in the wrong direction, keeping us aware of them and their competitors positions. It is important that we use Google analytics to track also the number of visitors, where they are coming from, where they go on the website, and how long they stay on there for. By doing this we are able to measure the success of marketing campaigns and see the results that this has delivered for the client. Don’t rely on statistics by companies like Facebook to tell you how many clicks to your website they sent, track it and compare the two. Keep things moving – keep ‘SEO fit’. It is tempting to ‘do’ SEO and then stop. However this is not how it works, it is a marathon not a sprint, you need to put in all that work beforehand before it comes to the ‘big race’ when it comes to Google rankings, you can’t just run the race and hope to win. Your ranking is based on how hard you have worked at SEO and your website. Generally if your website isn’t ranking high enough it isn’t because you have the wrong strategy (unless it is really bad) it is because you have given up too early. SEO and fitness are two very comparable things, you only get results if you put in hours and hours of hard work. You need to question your strategy and understand how well it is working by using metrics to determine what is working well and what isn’t. To improve you need to do better at what you are doing well at, and either cut out of improve the bits you aren’t doing so well at. To know this you need to test and compare previous results. We have years of expertise in SEO and website rankings, if you would like to know more about SEO please do not hesitate to contact us.